What makes figure drawing so alluring is to somehow capture the form of a live model and imbue it with a life of its own. What makes it so challenging is that people know too well the shape of a human body and mistakes are easily spotted. Studied in art schools and ateliers, life drawing can also be done by anyone who has the interest at open studios that are available to the public for a small fee. Models hold poses from 2 to 20 minutes — the challenge is to complete a sketch in the allotted time before the pose changes. Generally, there is no instruction. 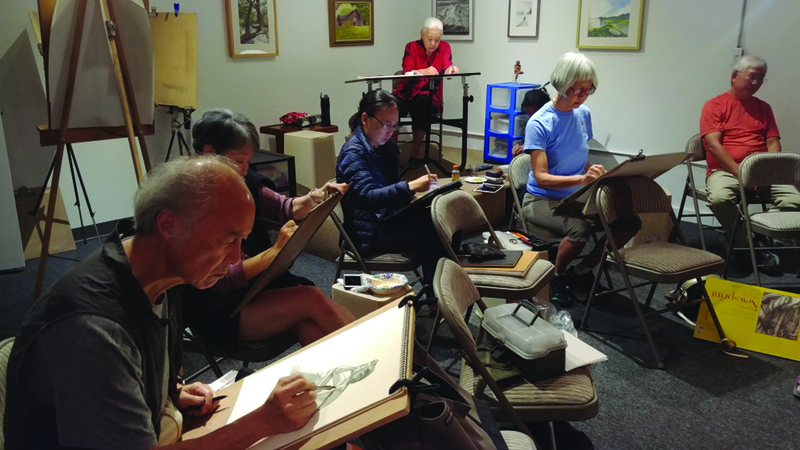 The 2- to 3-hour sessions are simply a chance to hone one’s drawing skills. Sometimes artists form their own drawing groups. One such group has been meeting regularly at a private studio for over three years. We gather every other Wednesday for 3-hour sessions of sketching, fellowship and encouragement. The group is primarily comprised of retired and working professionals. 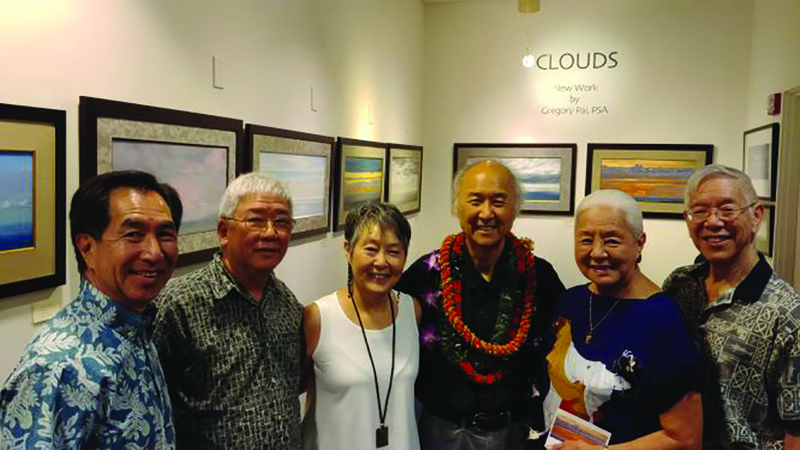 Herb is a real estate investor, Greg Pai a retired economist, Frances Wong a retired hotel executive, Beatrice Ku an architect, Ken Okuno a retired IT professional, Joan Shigemoto a retired speech pathologist, Flora Ling a retired financial writer and me, a financial professional. Most in the group started drawing as they approached their senior years. Herb was inspired by the book Drawing on the Right Side of the Brain by Betty Edwards and happily discovered that he could draw. Greg is now a highly regarded professional artist who exhibits at Manoa Gallery and Nohea Gallery. Everyone’s sketches vary wildly, but each of us appreciates the deep satisfaction of drawing and how it can be a lifelong endeavor. It’s refreshing to explore new creative outlets or reconnect to youthful talents. In the deep focus of drawing and the stillness of the studio environment you might even discover a new you.